Nestled on the edge of the Redcliffe peninsula and hugging Moreton Bay is the pretty seaside town of Redcliffe. Established in 1824 as Queensland’s first colony, the area is home to a huge array of architecture including mid-century homes that hark back to the thoughtful and creative designs of the 50s and 60s. Homeowners in Redcliffe see the value in revitalising and preserving their architectural gems and so look to fortify their houses and buildings with quality aluminium or vinyl cladding. 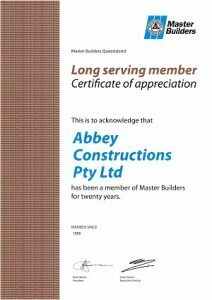 At Abbey, we have nearly 40 years of experience installing aluminium and vinyl cladding Redcliffe wide (and across Queensland and Northern New South Wales) and proudly endorse our work with a 50-year warranty. When you choose from our range of aluminium and vinyl cladding solutions for your home, you are guaranteed of a quality product that will insulate and protect your property, while giving it a stylish and attracting facelift. Choose from our range of colours giving you choice about the new aesthetic for your Redcliffe home. Redcliffe experiences an average temperature of 28°C in summer, with a drop to 21°C in winter and a fair amount of rain – around 1076mm annually. Whilst enjoying a fair amount of sunshine year-round, your house needs to be protected from the elements. Protecting the exterior of your home with vinyl or aluminium cladding gives you peace of mind that your home is safe from water damage and other kinds of damage due to the elements. 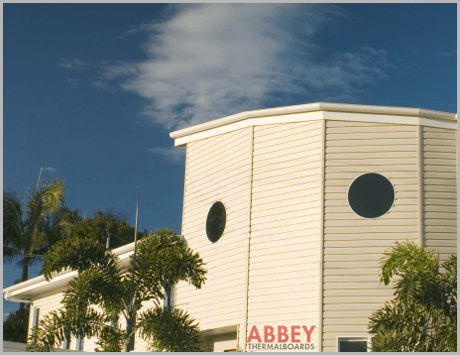 Abbey cladding can withstand the hard Queensland sun and weather – ideal for the Redcliffe’s weather and salty air. 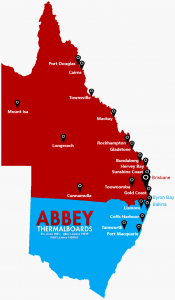 At Abbey Thermalboards we offer a huge range of colours and design options so that you can choose the perfect fit for your home or property. Our vinyl cladding Redcliffe will give your property the visual appeal and lasting protection to give you peace of mind. Plus, having a beautiful home will give you an edge in the growing Redcliffe property market!